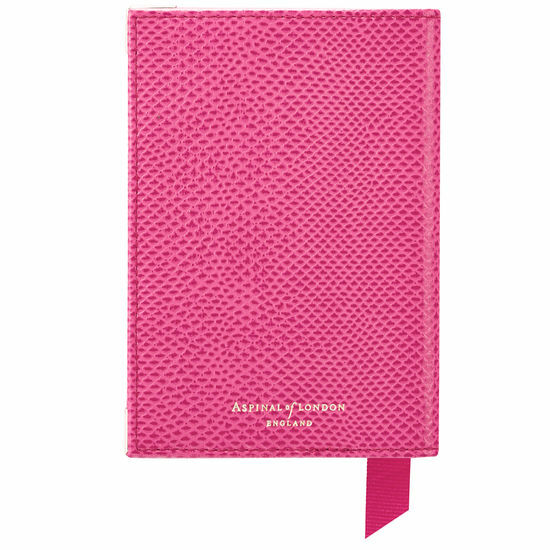 The perfect travelling ensemble is made in the details - such as our Plain Passport Cover. Each one is uniquely hand-crafted from finest quality lizard print Italian calf leather in a fun raspberry hue. Gold hardware to the corners and gold foil embossing create an elegant effect, as does our vibrant fuchsia grosgrain ribbon for easy opening. 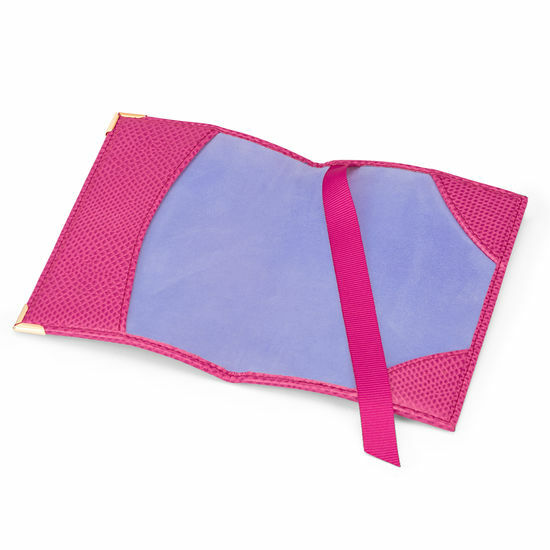 The interior is lined with contrasting pale blue suede to help keep your passport pristine, while tabs ensure it's held securely in place. 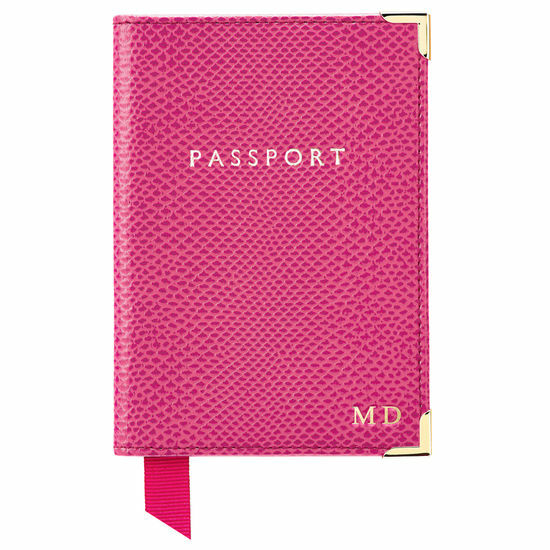 Personalise with up to four initials for a globe-trotting loved one.